Home Co-op Blog Timber Stackers! The playground committee has been meeting all year to figure out ways to improve the Co-op’s outdoor play areas. After touring a bunch of other school’s playgrounds (and realizing how much we like what we already have! 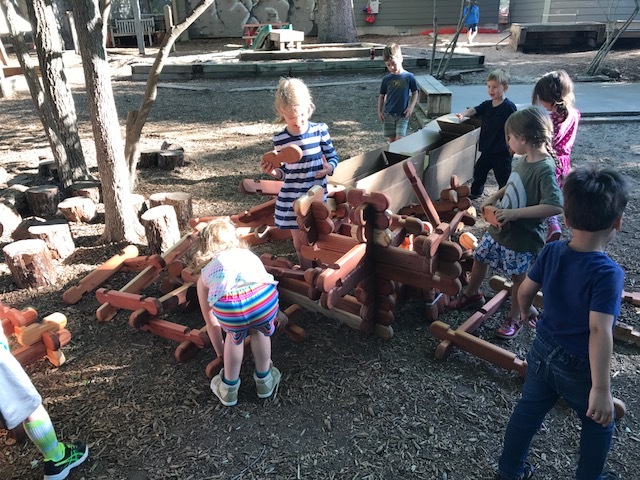 ), the decision was made to focus on more loose parts, swings or a tire swing, and a climbing hill with a built-in slide. 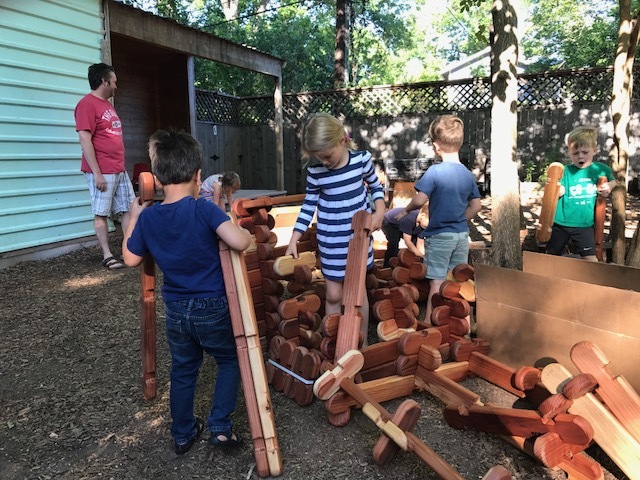 At a faculty meeting, teachers and staff chose Timber Stackers and thanks to the generosity of members from the graduating class of 2017 – the stackers arrived just in time for the 4/5 kiddos to enjoy! We hope to have additional improvements on our playground completed during the 2017-2018 school year.